When their master Lord Asano (Min Tanaka) is magically betrayed and leads to his erroneously attacking his guest Lord Kira (Tadanobu Asano) in his sleep, he is ordered to commit ritual suicide for his offense by Japan’s ruler Shogun Tsunayoshi (Cary-Hiroyuki Tagawa). His samurai, under the command of the powerful Ôishi (Hiroyuki Sanada), are subsequently made Ronin and ordered to disperse, and under threat of ignoble death they are told not to seek revenge against any they think might have wronged Lord Asano. But this particular wrong cannot go unpunished. A year after that fatal day, with Lord Asano’s daughter Mika (Kô Shibasaki) on the verge of being forced to marry Lord Kira, Ôishi reassembles his men and tells them all he knows about what befell their former master. He is uneasily aided by half-breed wanderer Kai (Keanu Reeves), a mysterious orphan who saw a powerful Witch (a lithe, seductively sinister Rinko Kikuchi) cast her spell on Loard Asano and whose insights into the supernatural will be vital if they are going to find justice. Numbering 47, they will secretly make their way into Lord Kira’s castle and make him pay for his evil, not caring that doing so will break the Shogun’s command. While if they succeed their lives will be forfeit they will have also restored both their honor as well as that of the dearly departed Lord Asano. 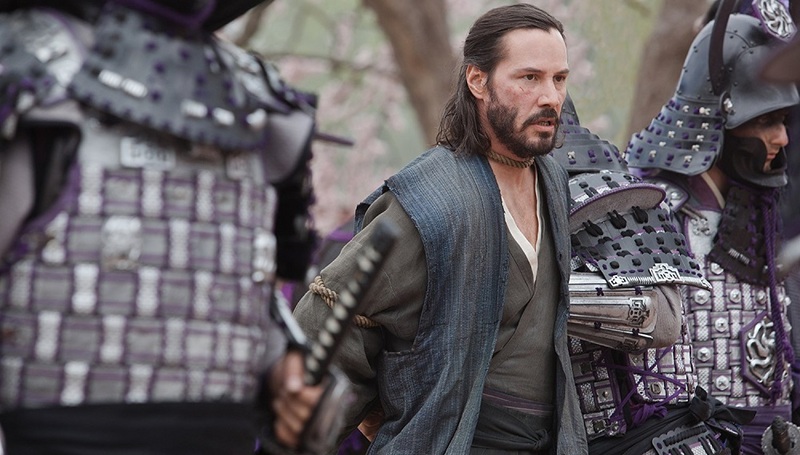 The first Hollywood epic based on the timeless Japanese legend, the hugely expensive and long delayed (it was originally set to hit theatres over a year ago) epic 47 Ronin isn’t quite the disaster we were led to believe. Handsomely mounted, the majority of its focus rightly upon Ôishi and his journey and not upon Kai’s (although his part in this tale is unsurprisingly amplified to a much higher degree than it should be), the movie is a somewhat exhilarating adventure of honor and brotherhood that hits its fair share of high-water marks. It’s a moderately exciting picture that doesn’t stray far from the inherent nobility of the sacrifice and tragedy swimming through its core, and for my part I was more moved by many of its more emotionally brittle elements than I expected to be. Not to mean the movie is a good one. Sadly, newbie director Carl Rinsch has ample difficulty maintaining the more sprawling aspects of the narrative, while the Western bastardization of this very Japanese myth is undeniably annoying. At times the film feels more like a samurai-fueled variation on a Pirates of the Caribbean sequel than it does anything else, while many of the supernatural elements simply do not fit inside the grounded, tactile reality-based efforts of Ôishi and his fellow Ronin. It is almost as if Rinsch and his cadre of writers, a team which includes Chris Morgan (Fast & Furious 6), Hossein Amini (Drive) and Walter Hamada (a horror producer known for The Conjuring and the Friday the 13th remake), thought they could somehow combine an old school Akira Kurosawa epic with something like Ronny Yu’s The Bride with White Hair and all would be just fine. Thing is, none of them appear to have enough of a grip on the varying aspects of their scenario to strike a satisfying balance, the film so tonally schizophrenic it’s just plain obnoxious. While the revenge-fueled passions of Ôishi against Lord Kira have urgency and heart, the romantic subplot featuring Kai and Mika, as well as the warrior’s focused aggressions towards the Witch, are moderately silly, and because of this one major facet of the film is constantly working at cross-purposes against the other. 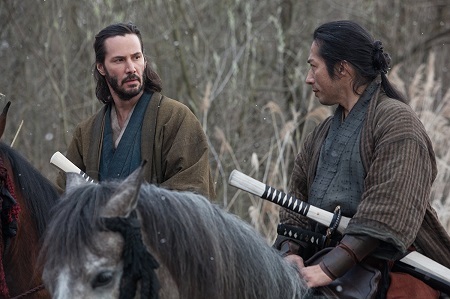 Yet I can’t dismiss this incarnation of 47 Ronin entirely. Sanada, unsurprisingly, is excellent, showcasing a world-weary gravitas that permeates every frame. There is a scene right around the middle between him and actress Natsuki Kunimoto that packs a pretty mean wallop, while what could have been a cliché moment of speechifying by Ôishi as he inspires his men to arms ends up becoming an emotional tsunami that overwhelmed my senses. He also has strong chemistry with Reeves (who, it must be admitted, is pretty solid, even if his character is rather inelegantly shoehorned into the proceedings), the duo making a solid pair of uncomfortable allies whose affinity and trust for one another grows with realistic precision. It should also be that said for all his pacing and focus issues, from a purely visual standpoint Rinsch does a fine job, allowing the action to have a propulsive elegance that’s sophisticated and unforced. 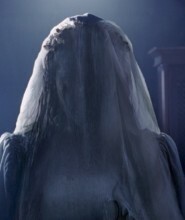 While the special effects range between subpar SyFy Channel level to spectacularly photorealistic, the images are consistently solid, sometimes even stunning, the director allowing veteran cinematographer John Mathieson (Gladiator, X-Men: First Class) to construct this world with a painterly fastidiousness that’s suitably eye-popping. Look, overall the movie does not work, I’m not going to try and argue otherwise, and to say Rinsch’s troubled debut is light years removed from Kenji Mizoguchi’s 1941 masterpiece of the same name goes without saying. But taken on its own, with the weight of expectation and thoughts of all the delays, hiccups and production woes set aside, this 47 Ronin isn’t without its enjoyable aspects. In fact, if it had a few more of them, just a couple, I might have been willing to try and convince interested parties to buy a matinee ticket and give the film a chance.